What tow boat do you buy if you don’t often use the word "dude," and you don’t care about "sick" graphics and "rad" moves? Wakeboarding is one of those sports that has spawned its own lexicon. Or at least borrowed heavily from the very hip and the right now. Words such as sick, monster and rad are prevalent and phrases such as, “Dude, you got worked,” aren’t uncommon. 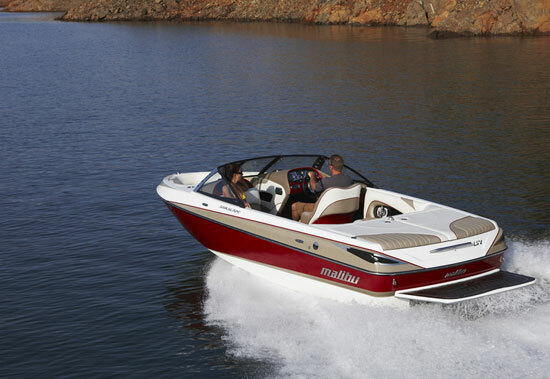 The Malibu 20 LSV demonstrates tasteful restraint—and offers enough room for families. 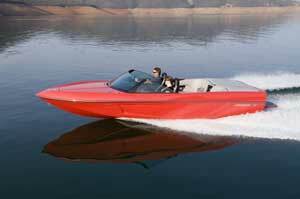 In much the same way, wakeboarding boats ostensibly have established their own look. 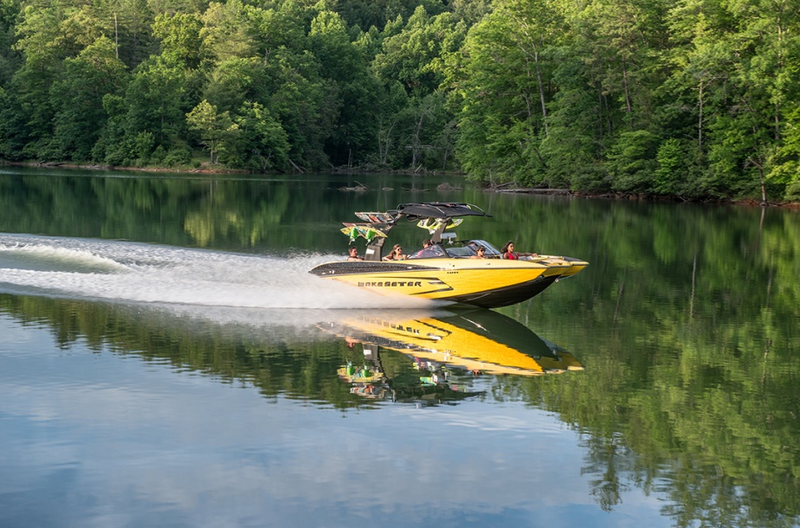 Tribal graphics that mimic tattoos, wild colors and the heavy influence of youth have resulted in a crop of tow boats that are perfectly suited to the X-Games crowd, but don’t do much for those who value understated elegance in design. 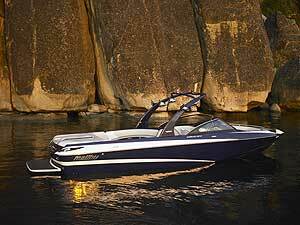 For the latter crowd, mercifully, there is the Malibu 20 LSV, a boat that has the chops for water sports, but demonstrates tasteful restraint—and offers enough room for families. 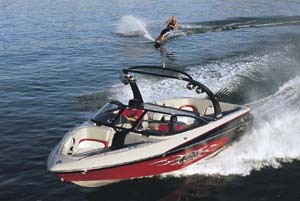 One of the things that is always apparent each time I step aboard a Malibu is the excellent choice of materials. Vinyls are supple and luxurious, not cheap and plasticky. Carpeting is thick and cushy, and all the hardware looks as though it were chosen not for price, but for function and form. 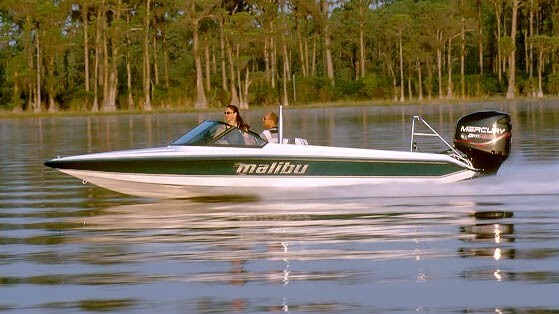 The Malibu 20 LSV has the chops for water sports, without fancy graphics. Price points have a tendency to dictate what you can and cannot use to build a boat. 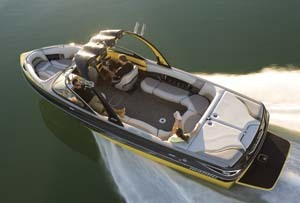 Malibu has never been shy about charging what it needs to get for its boats, and the 20 LSV’s base price of $55,857, which does not include a trailer, tax, freight or dealer prep, is appreciable. However, that is by no means an indication that customers get the short end of the stick. It just means you get what you pay for. In this case, a premium product for a premium price. Let’s look at what you get for your money. 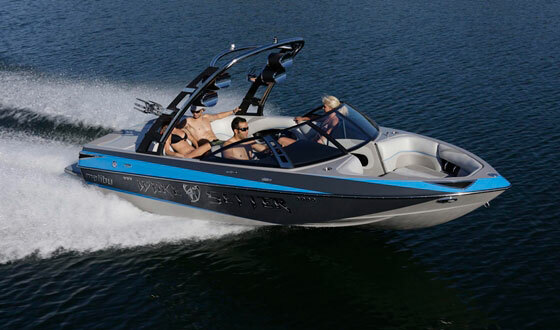 In standard trim, the 20 LSV is more day boat than water sports machine. The driver’s thigh bolster flips up for better visibility over the windshield, which is a very cool piece crafted in black anodized aluminum and drilled corner pillars that resemble vintage steering wheels. The observer seat is wide enough for two—Malibu claims it holds three—and it conceals ski stowage that runs beneath the portside seats in the bow area, which features grab rails, four cupholders and two speaker enclosures. Cockpit seating is nice and deep, with thigh cushions built into the seat pads. Cockpit seating is nice and deep, with thigh cushions built into the seat pads. Coaming padding cushions the sides of the gunwales and features enclosures that house speakers and cupholders. If you enjoy cruising at dusk, you’ll enjoy the LEDs that bathe the enclosures in soft lighting. It’s a nice touch. Just behind the cockpit lies the engine bay, which is covered by two richly padded, side-opening hatches. The ski pylon at center front raises and lowers for safety and convenience. The transom is just the right height for strapping on a ski or board, and there’s also a tow eye for pulling the kids on tubes—or your grossly uncoordinated uncle Ned, who could never seem to manage a deep-water start. The standard swim platform is fiberglass, but you can opt for teak if you like maintenance. Both are removable. At the helm, the driver looks over a dash that could rightly be described as exquisite. Gauges are nestled into a CNC-machined billet panel and the stereo and accessory controls flank the leather-wrapped steering wheel in a contrasting gelcoated fiberglass dash panel. It’s all topped with padded vinyl that cuts glare on the windshield, and wraps around and blends in with the coaming panel. Stand back and look at the whole package, and it’s something a grown up would own. It would look right at home being towed behind a Range Rover or a Cadillac into a gated waterfront community. Sorry, no dudes allowed.